The professional window cleaning service that you can trust for good value. Are you looking for a local window cleaner that you can rely on? 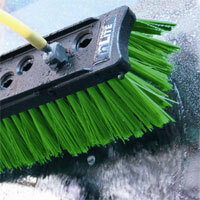 JCP Window Cleaning is an Oxfordshire-based window cleaning company with more than 17 years' experience. We are trusted by local people and businesses to provide a first class service every time. From residential properties to office buildings and commercial spaces, using traditional cleaning methods or the Reach & Wash® cleaning system, we have the expertise and experience to meet our customers' needs. To arrange a free quote call 07765 878361 or email info@jcpwindowcleaning.co.uk. Looking for a local recommended tradesman you can trust for professional window cleaning and gutter cleaning? We think you've come to the right place. 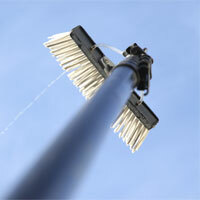 JCP Window Cleaning offers professional window cleaning services in Witney and West Oxfordshire. Our services are offered to residential and commercial customers, regardless of the size of the property or the number of windows. With options for regular scheduled cleans, or “one off” cleans, our services are designed to meet the different needs of our customers. We use a variety of window cleaning methods, from the more traditional method of cleaning (using a squeegee, applicator T-bar and cloths) to the state of the art Reach & Wash® system. We select the method that best suits your property, ensuring brilliant streak-free results every time. We've been building our reputation for window cleaning excellence one customer at a time since 2014. We know your home is more than just a place to live – it's somewhere you're proud of and reflects who you are. That's why we offer a personalised service to every customer, carrying out our work to the highest professional standards and taking care to leave your windows sparkling clean on every visit. In the unlikely event that you're not satisfied with the service that you've received from JCP Window Cleaning, we will do our best to put things right. Contact us and we'll be happy to arrange a return visit. We only consider the job done when you're happy. For a professional service from a reliable local tradesman, contact us here at JCP Window Cleaning on 01993 358853 or email info@jcpwindowcleaning.co.uk. Why choose JCP Window Cleaning? 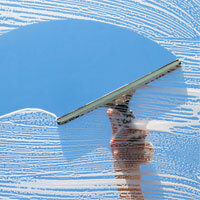 The first choice for window cleaning services in Witney and West Oxfordshire. If you want a partner who cares about your home or business, choose JCP Window Cleaning. We pride ourselves on delivering a highly professional service combined with a friendly and personal approach. We strive to achieve total satisfaction for every JCP Window Cleaning customer.